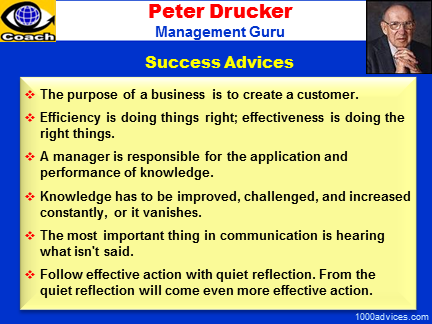 Peter Ferdinand Drucker is revered as the father of modern corporate management. He was often called the world's most influential business guru. His thinking transformed corporate management in the latter half of the 20th century.